Go for a white ruffle long sleeve blouse and a black fringe suede clutch for an easy to wear look. 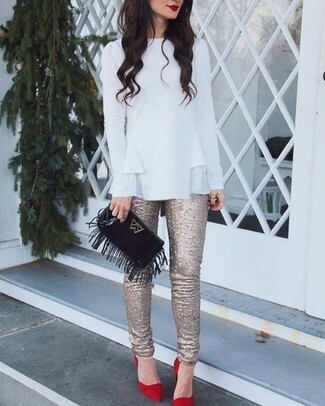 Spruce up this outfit with red suede pumps. Consider wearing a black leather biker jacket and a Lavand fringe structured clutch bag from Asos for a trendy and easy going look. White leather high top sneakers are a fitting idea here. 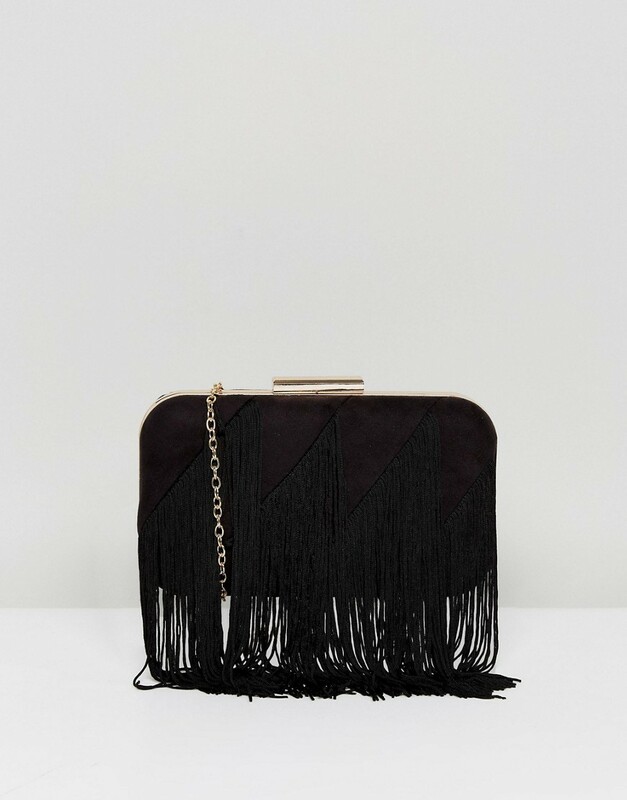 We all look for comfort when it comes to dressing up, and this combination of a black turtleneck and a Lavand fringe structured clutch bag from Asos is a vivid example of that. Rocking a pair of black embellished suede heeled sandals is a simple way to add extra flair to your outfit.